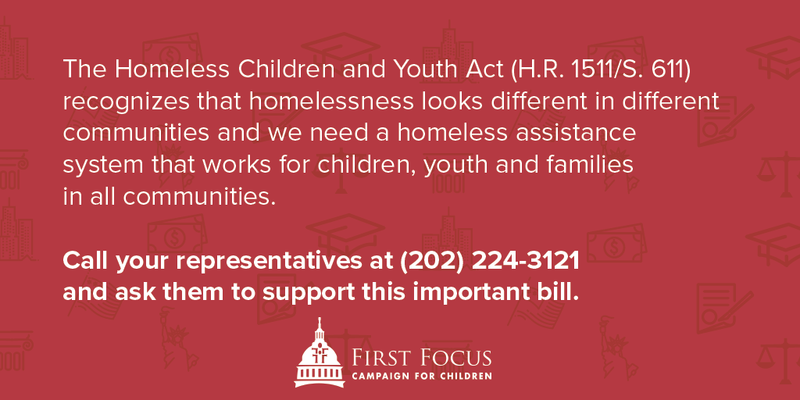 Action: The Homeless Children and Youth Act is Being Considered by Congress. Call Your Legislators. Homelessness jeopardizes the health and well-being of record numbers of children and youth, putting future generations at risk of adult homelessness. Communities need to be able to use HUD Homeless Assistance funding more flexibly, effectively, and appropriately to meet the needs of children, youth, and families. The Homeless Children and Youth Act of 2017 (H.R. 1511/S. 611) restores local decision-making and improves the ability of communities to meet the unique developmental needs of homeless children, youth, and families, which is the best long-term strategy to reduce all forms of homelessness. See our fact sheet and learn more about the bill. 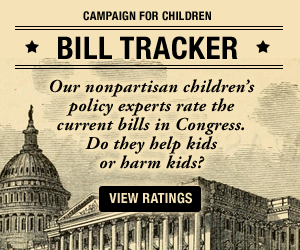 A markup is nearing in the House of Representatives and we need your help to get children and families get the resources they need. Please contact your representatives–call (202) 224-3121 and ask them to support this important bill. Use our call guide to contact your lawmakers and tell them to support the Homeless Children and Youth Act.